As time pass by, our global economic rises drastically and evolves to adapt new modern technology. One of the example is the blockchain technology, where the digital information can be distributed but not copied. This technology is currently used for the digital currency, originally for Bitcoin. Mobile applications is also one of the technology evolution of today's generation. According to the statistics, in year 2019, the number of mobile phone users in the world is expected to pass the five billion mark. It was estimated 62.9% percent of the population worldwide already owned a mobile phone. Many investors and ordinary people are getting attention from this new kind of technology at the same time can be or might be use for a future investment. Many international government are seriously looking to make this technology to become legal for the security and safety of a persons who getting involved. Cryptocurrency or 'digital currency' is a digital asset designed to work as a medium of exchange that uses strong cryptography to secure financial transactions, control the creation of additional units, and verify the transfer of assets, as Wikipedia posted. Now! the main topic here is all about the mobile based application that can give opportunity to all Filipino who wants to invest in the international stocks, ETFs, commodities, cryptocurrencies, and fiat currencies from anywhere in the world using a single app. 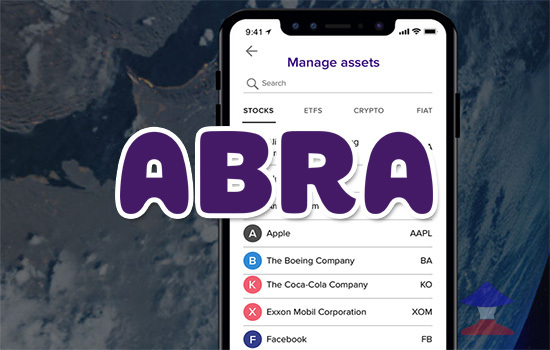 ABRA announced that you can use Bitcoin to invest in stocks and ETFs from anywhere in the world. You can start investing with as little as $5, partial stock investing, and $0 trading fees on stocks and ETFs for everyone who requests early access. ABRA assured to their investors that they are non-custodial exchange where your funds are private, secure, and always in your own control. Again! the company is inviting everyone who are interested to try their new services and get a $0 zero trading fees on stocks and ETFs by requesting an early access in their website. Meanwhile, You can load up or cash in your ABRA wallet using UnionBank or Tambunting Pawnshop in the Philippines. And this is not paid post for ABRA, and Good Filipino is not connected to ABRA or any party mentioned on this article. Comments or suggestions about "ABRA Introduced Future of Investing using Bitcoin" is important to us, you may share it by using the comment box below.